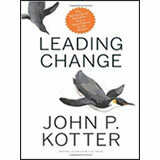 John Kotter’s now-legendary eight-step process for managing change with positive results has become the foundation for leaders and organizations across the globe. 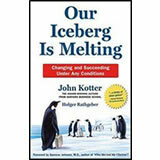 By outlining the process every organization must go through to achieve its goals, and by identifying where and how even top performers derail during the change process, Kotter provides a practical resource for leaders and managers charged with making change initiatives work. 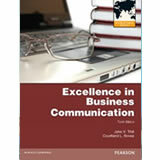 Needed more today than at any time in the past, this immensely relevant bestselling business book serves as both visionary guide and practical toolkit on how to approach the difficult yet crucial work of leading change in any type of organization. The penguins are living happily on their iceberg then one curious penguin discovers a potentially devastating problem threatening their home – and pretty much no one listens to him. The characters in this fable are like people we recognise, even ourselves. Their story is one of resistance to change and heroic action, confusion and insight, seemingly intractable obstacles and the cleverest tactics for dealing with those obstacles. It is a story that is occurring in different forms around us today – but the penguins handle change a great deal better than most of us. 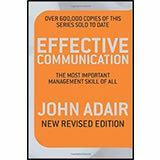 Based on John Kotter’s pioneering work on how to make smart change happen faster and better, the lessons you can learn from this short and easy-to-read book will serve you well in your job, in your family, and in your community. And these lessons are becoming ever more important as the world around us changes faster and faster.